The town is still trying to recover from storms and flooding in January. Now, with more bad weather on the way, there's a scramble to save its boardwalk. 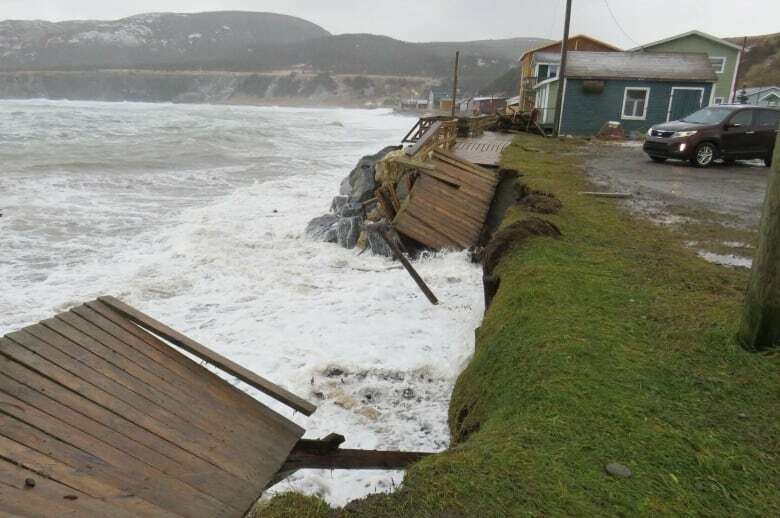 After last year's flooding on the west coast of Newfoundland caused extensive damage to the town, rough seas and high winds have destroyed part of Trout River's boardwalk. Now, with another storm due to hit Wednesday, the town is scrambling to shore up what's left. "We've got no breaks," Gloria Barnes, the town's deputy mayor. 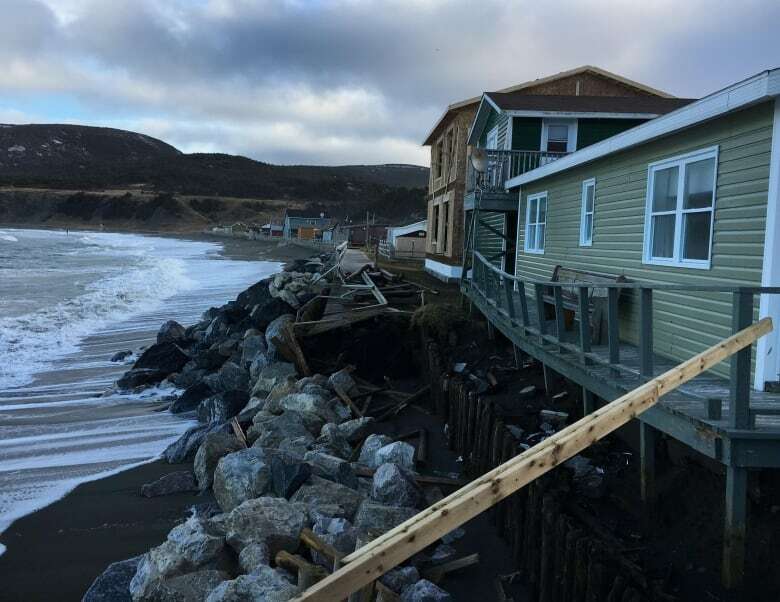 The winds and waters have been particularly cruel to one part of the walkway, tearing it away completely and leaving behind nothing but a tangle of lumber and exposed ground. "The waves are just steady taking the sand away." On Monday, workers and excavators spent the day at that spot, laying armour stone to protect the eroding soil. But it may not be enough, Barnes said. "We just can't seem to do it all in time." The walkway doesn't just serve a recreational purpose, she said. It helps to keep the waves at bay, particularly in front of the houses behind it. If more of boardwalk is destroyed, those houses will be at risk, she said. The situation is just another unwanted stressor for the little town, Barnes said. It's a big burden for their small budget, and it's an enormous amount of time and planning for the volunteer council, she said. 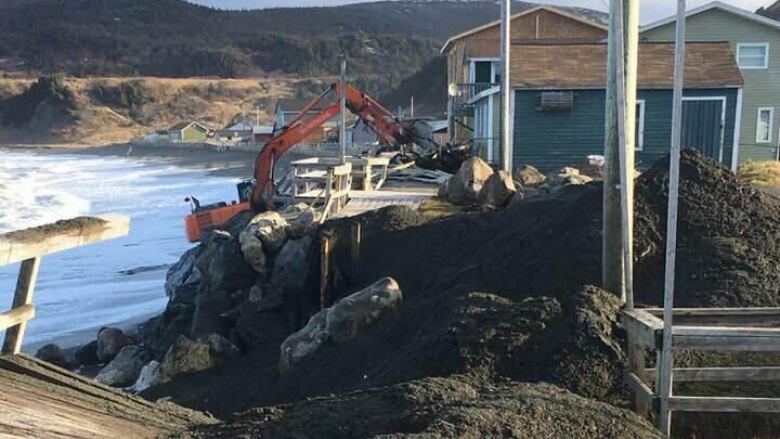 And they're still contending with damage from last January's flooding and freezing, which prompted the town to declare a state of emergency in the face of landslide risks and damaged the wharf and the riverbank, she said. "We're still working on our river to get it to where it was to before that storm." She hopes that once — and if — the boardwalk makes it through Wednesday's storm, they'll be able to come up with a comprehensive plan for the waterfront. But even that is daunting. "We don't have the time to invest in a big engineering plan if that's what's needed," she said. "We need help. We need guidance."